Hey, Christmas is right at the corner now. Are you looking for a little gift for her just to make her skin look even prettier and younger in a budget? Look no further! Here is your ideal gift for her! Although aging is a natural process, we all would love to age gracefully. This means that you will have to make certain adjustments in your daily anti-aging skincare routine. If you are looking for a skin toner that will hydrate, nourish, heal and repair your skin; then Le’vea Phyto Repair Hydrating Skin Toner should be on your wish list. Using our hydrating toner will facilitate your pores to shrink, prevents the oil and dust plug the pores and cause outbreaks. Are you entering in your 30s and worried about the saggy wrinkled skin to start appearing on your face? Avoid this by simply investing into a Phyto Repair Hydrating Skin Toner that essentially completes the cleansing step by removing any impurities. Le’Vea has produced an excellent Hydrating skin toner for people with all skin types with the assistance from world-class chemists who have developed the formula that is scientifically researched. Adding this toner into your daily skincare regimen will hydrate the surface of the skin for some extra cleaning and moisturizing. So, if you’re worried about those wrinkles, start to from hydrating and repairing your skin damage from daily chemicals and dust is the key. 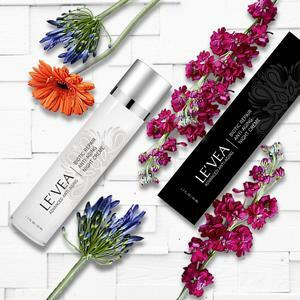 it’s time to redirect that energy into uplifting your skin with the help of Leveaskincare.com. This vegan-friendly skin toner entails carefully selected ingredients that essential for a flawless skin. These ingredients generally involve Vitamin B5, Vitamin C and multiple botanical natural plants extracts such as Cucumber, Chamomile, Orange, Allantoin, Aloe Vera, and Sea Kelp. Vitamin C will stimulate the collagen and ultimately defends your skin from detrimental components like pollution. Moreover, Vitamin B5 supports the development of new cells, keeping the skin hydrated and making it look firmer. Natural plant extracts are responsible for soothing, healing and rejuvenating all skin types. Macrocystis Pyrifera (Kelp) Extract of the seaweed is known to be rich in minerals and vitamins that facilitate the process of healing from exposure to sun and also prevents fine lines and wrinkles. These also provide anti-inflammatory, antibacterial and antioxidant benefits. Can’t believe one product can do all of this? Try out for yourself if you don’t believe us by logging in Levea.com. Likewise, Allantoin Plant extract has anti-irritant and calming proper­ties, giving your skin a natural glow. Keep your skins looking younger longer with Le’Vea’s Phyto Repair Hydrating Skin Toner. Adding this step into your routine will keep your skin hydrated and dramatically slow the procedure of aging. Now, who doesn’t want to look young? Let us help you achieve that goal by purchasing a Phyto Repair Hydrating Skin toner and adding it to your daily skincare regimen. Elevate your skin by balancing the pH level and repairing it through our products.